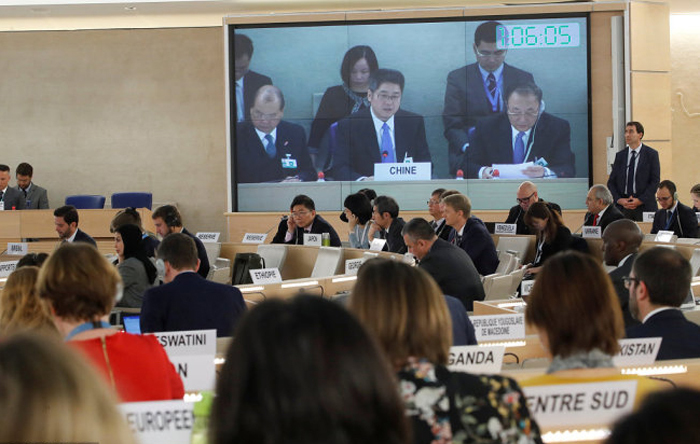 (TibetanReview.net, Apr04’19) – China has been denounced by diplomats and activists alike on Apr 1 for its brazen move to subvert the work of the UN’s top human rights body during its Mar 2019 session in Geneva, reported the AFP Apr 2. This included intense lobbying, pressure and even threats to state parties to the 40th session of the UN Human Rights Council with a view to escape criticisms for its deplorable record. 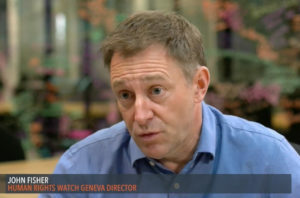 In particular, New York-based Human Rights Watch (HRW) has noted that the Chinese mission in Geneva had sent a letter to a number of missions urging them to stay away from a US-organised event on Mar 13 about China’s treatment of Uighurs and other Muslim minorities in Xinjiang province. AFP has cited several diplomats as confirming their missions had received the letter ahead of the event. The event took place on the sidelines of the rights council’s three-week session and focused on allegations that upwards of one million Uighurs and other mostly Muslim Turkic minorities were being held in detention centres in Xinjiang. The report said several diplomats confirmed HRW’s charge that China had exerted significant pressure on countries to speak on its behalf during the conclusion of a review of its rights record before the council on Mar 15. “They were doing their best to stage-manage everything,” the report quoted a Western diplomat as saying, speaking on condition of anonymity. Chinese officials were also stated to have pressured the UN to remove elements provided by UN experts and NGOs from its Universal Periodic Review (UPR) report and to have tried to block the accreditation of Uighur activist Dolkun Isa. China was also stated to have intentionally pushed friendly states to flood the speakers’ list for the 20 minutes allocated to countries’ concluding remarks. As a result, nearly 100 countries requested the right to speak — over three times more than usual in this situation — with only 13 being permitted to take the floor. This meant that the most critical voices from Europe and North America were not called upon, with only Norway being able to speak up against China’s Xinjiang policies. China also flooded the NGO speakers’ list with those friendly to it, with the result that groups praising China grabbed six of the 10 available speaking slots.